Schedule a Personal Tour at your convenience. If you can't make it to one of our Open House dates, we invite you to contact us for a Personal Tour at your convenience. If your daughter already has a friend who attends Sacred Heart, we'll be happy to pair them up for a few hours to "Spend a Day" in the life" of a Sacred Heart girl. Prepare her beyond college. Prepare her for life. 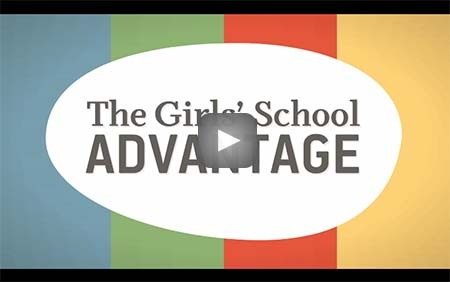 For more reasons on how our girls make change in the world, we invite you to come take a tour and see first-hand what makes the Academy of the Sacred Heart unique in its own. After all, we've been challenging minds since 1867. And we'll be around for generations more. Simple. At Sacred Heart, GIRLS are always at center stage. Every student leader, athlete, artist, speaker and musician is a girl. Where do our girls attend college? 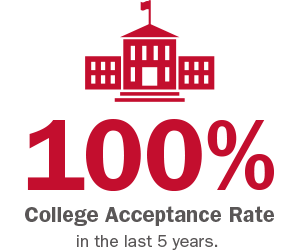 View the list of college acceptances in the last 5 years.